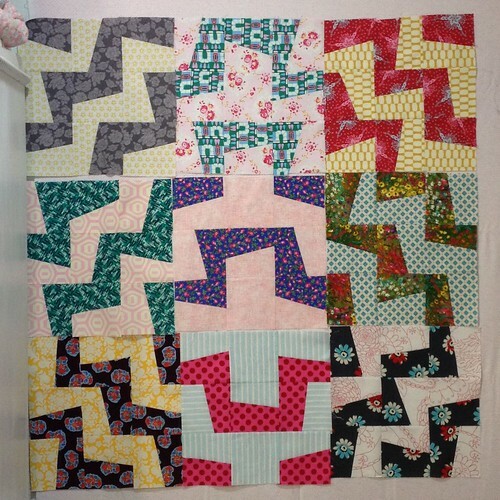 Ever since the wonderful weekend I spent with six of my stitchy friends earlier this month, I've been in a quilting mood! I pulled out the Farmer's Wife quilt I started in 2011 and have made some decent progress; I'll have to share that later. In addition to a couple of new scrap quilts, I also started on the Fractured quilt (photo above) from Kathy Doughty's new book, Making Quilts with Kathy Doughty of Material Obsession: 21 Authentic Projects. The first blocks I made were single color scrappy with a one dark fabric for each block, but ultimately, I decided to go with two fabrics per block as in the top photo. Pulling fabrics for this quilt was fun! 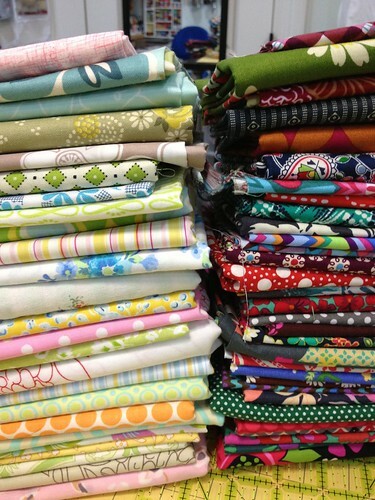 I'll be able to use some of the lighter fabrics that have been sitting in my stash for a long time. It's a good stash-buster and really fast and easy to sew. 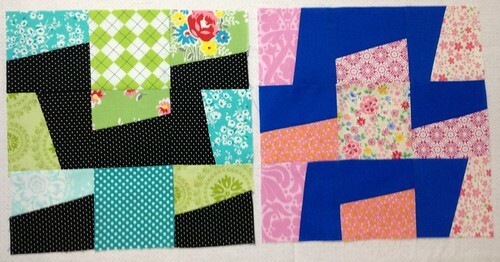 Sewing up the Fractured quilt has me thinking about my scraps. I got distracted this morning and started making some new scrap blocks that might just become my long-term scrap elimination solution. 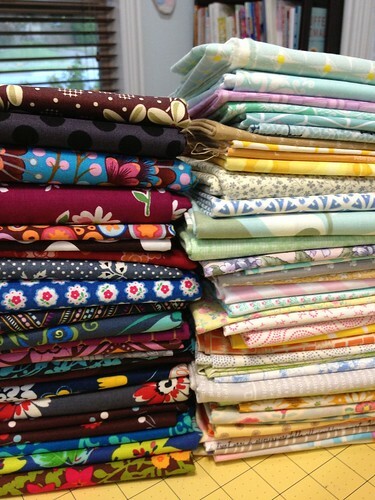 It feels good to be blogging about quilts again! It's looking great! Be sure to visit Vicki Welsh's blog "Field Trips in Fiber" to participate in the Fractured QAL. We all post our progress on Fridays.